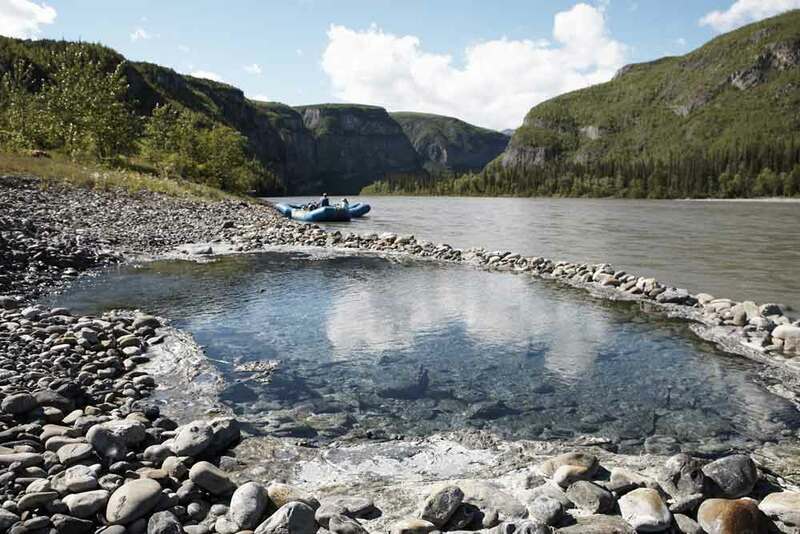 A highlight for many who journey down the Nahanni River with us is a relaxing soak in the soothing 32°C waters of Kraus Hot Springs. 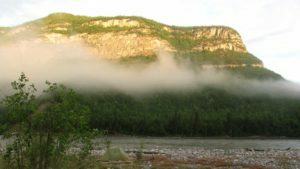 A highlight for many who journey down the Nahanni River with us is a relaxing soak in the soothing 32°C waters of Kraus Hot Springs. 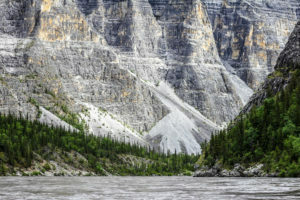 We arrive at the springs after paddling through Nahanni’s spectacular First Canyon, the steepest and deepest of them all. This sulfuric hot spring is an idyllic spa in the wilderness. It smells like rotten eggs but it feels like heaven. The hotsprings were named after Mary and Gus Kraus who resided there between 1940 and 1971. The only structure remaining is a small cabin which functioned as an outbuilding. Garden parsnip and a few other exotic plants grow in the area, a legacy from the Kraus’ garden. 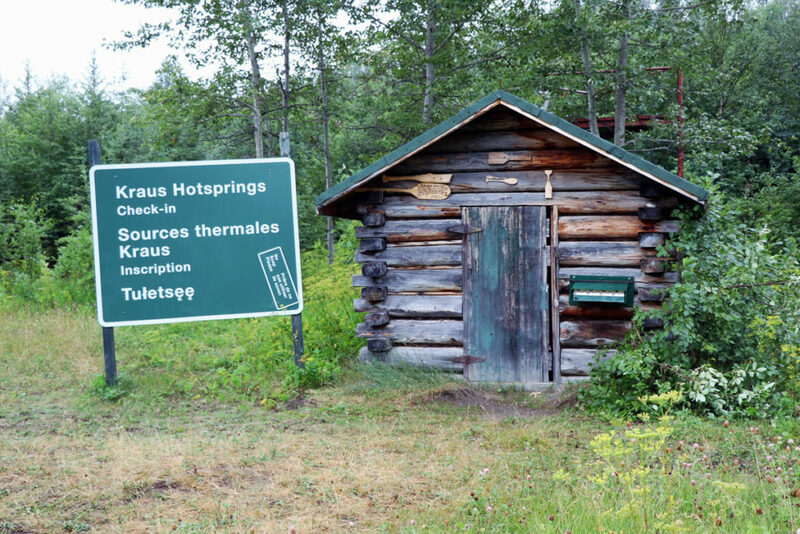 Small cabin located at Kraus Hot Springs. 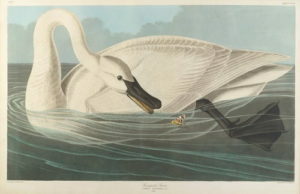 Why the wind blows upstream in the afternoon and why mornings on the river can occasionally find us engulfed in fog.